Nampula is Mozambique’s second largest urban centre and considered the ‘capital’ of northern region. It is also one of the economically most dynamic cities of the country due to its location in the centre of Nampula Province – the most populous and prosperous of Mozambique – in the heartland of highly productive agricultural areas, at the cross roads between the East-West Nacala Development Corridor linking land-locked Malawi and Zambia to the port of Nacala, and the North-South corridor linking Tanzania with the rest of Mozambique. Due to these facts Nampula has been growing rapidly from 53,970 inhabitants in 1970, to 158,099 in 1980 and 306,074 in 1997; it is now estimated that the population of the is around 600,000 inhabitants, showing an annual growth of over 5%, which puts a tremendous pressure on urban land, infrastructure and municipal services. At the same time the surrounding District of Nampula is the fastest growing in Nampula Province. This explosive urban growth has been and continues to be mainly unplanned, so that more than 80% of the population live in high density squatter settlements with appalling housing, environmental and living conditions and generally deprived of the most basic infrastructure and services, and is potentially preventing successful investment projects if no proper territorial planning strategy is thought through. Since 2008 the United Nations Human Settlements Programme (UN-Habitat) has been supporting the municipality and district of Nampula, together the Faculty of Architecture and Physical Planning (FAPF) at the Eduardo Mondlane University (UEM) and with the financial support of Cities Alliance, in preparing a city-wide slum upgrading plan (CWSUP) and a city development strategy (CDS) which covers the surrounding Nampula District to cater for the urban growth in the medium to long term, hence preventing the formation of new slums in the peri-urban areas and providing more favourable conditions for investment. On November 12th, Thomas Stellmach of TSPA will lead a workshop with stakeholders from communities, the private sector and the local government of Nampula to validate the priority projects of the City Development Strategy Framework. The report is set to be released in early 2017. 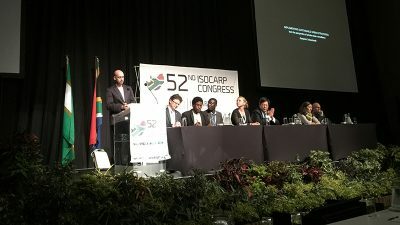 “Cities we Have vs. Cities we Need” was the theme of the 52nd ISOCARP congress, held in Durban, South Africa. TSPA was part of a keynote panel on the implementation of The New Urban Agenda. Benjamin Scheerbarth reflected on the ways private planning offices might be able to implement sustainable strategies in cities. As possible ways forward he offered (1) to understand a plan not as a final product but as a starting point for dialogue, (2) to design with inbuilt flexibility for future change, (3) to cultivate a dual approach of holistic understanding and acupunctural interventions and to (4) find new ways of organising both spatially and organisationally. TSPA also presented its paper on UN-Habitat’s Rapid Planning Studio (download paper), a capacity-building workshop, which Thomas and UN-Habitat colleagues conceived as a response to rapid urban growth across the continent. 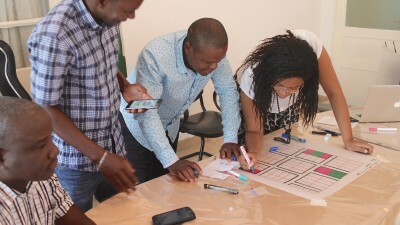 From 15th to 18th of February 2016, a UN-Habitat team led another Rapid Planning Studio – this time in Nampula Mozambique. The workshop allowed local planners and leaders to discuss potential development strategies for their rapidly growing city with the UN-Habitat experts. Nampula – a city with an estimated population of over 600’000 inhabitants – is the capital of Mozambique’s most populous province with more than 4 million inhabitants. The city’s massive in-migration and consequent housing shortage challenges current capacities to manage land effectively. Addressing the challenges from three standpoints – legislation, finance/economy, and urban planning/design – allowed to deliver informed and feasible outcomes. Thanks to an energetic and collaborative atmosphere among the participants, the workshop successfully promoted more sustainable urban development strategies for Nampula. Tacloban Urban Lab, jointly prepared by the UN-Habitat Design Lab and the Dutch Creative Industries Fund, took place during the 26th – 29th of January 2016 in the Philippines. It brought together international and local expertise to exchange applied knowledge and create urban design guidelines for the capital of Leyte province. Tacloban – a city of over 200’000 inhabitants – suffered from severe damage after the 2013 Haiyan Typhoon. 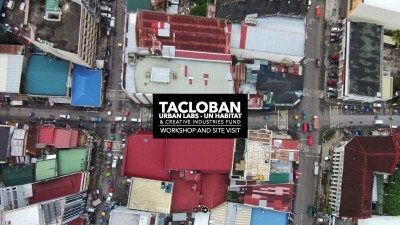 The Tacloban Urban Lab is thus seen as an opportunity to draft guidelines for more sustainable urban growth and post-disaster reconstruction. “Designing a better urban future” – Urban Planning and Design Labs were established on the 15th of September 2015 by the Dutch Creative Industries Fund and UN-Habitat’s Global Network of Urban Planning and Design Labs. The Tacloban Lab was part of a one year series to support local governments in partner countries such as Myanmar, Mexico, the Philippines, Palestine and Ghana. “With the planning labs, we promote to integrate design throughout the planning process, since design explorations can actually also contribute to problem definition and goal-setting. 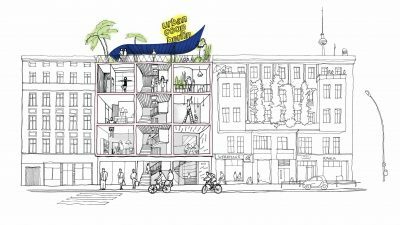 And as clear plans ease political buy-in, design also has the capacity to accelerate governments’ decision-making processes where plans often end up in gridlock.” says Rogier van den Berg, project leader of the Urban Planning and Design LAB at UN-Habitat. Thomas Stellmach has been voted to form the National Delegation of Isocarp Germany together with Martin Birgel, Stefan Netsch, Peter Droege and Peter Zeile. 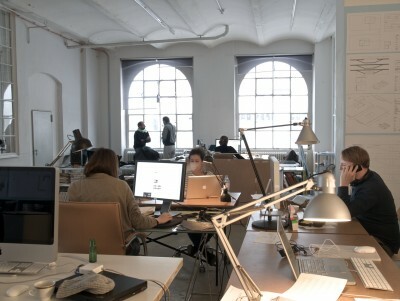 We’re renting out four table spaces in our beautiful shared office at moritzplatz at Aquacarree above Ritter Butzke. One of them is available immediately , the others from July 2015. Monthly rent is 168 EURO excluding VAT. Internet, table, chair, shelf space and cleaning is included, there is storage space and a nice little kitchen. TSPA has been selected by Talan to design 73 ha of mixed and dense city in the heart of Naberezhnye Chelny in the western part of Russia. The city is one of the largest planned towns in the world related to vehicle production: the Kamaz plant itself is the largest vehicle factory in the world. We are looking forward to work on the assignment together with our colleagues at Novaya Zemlya in Moscow, Happold Cities and Topotek1 in Berlin. 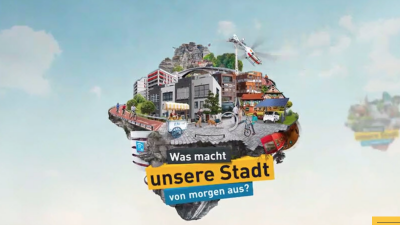 TSPA is partner of Germany’s science year 2015 initiative with the topic ‘future city‘.